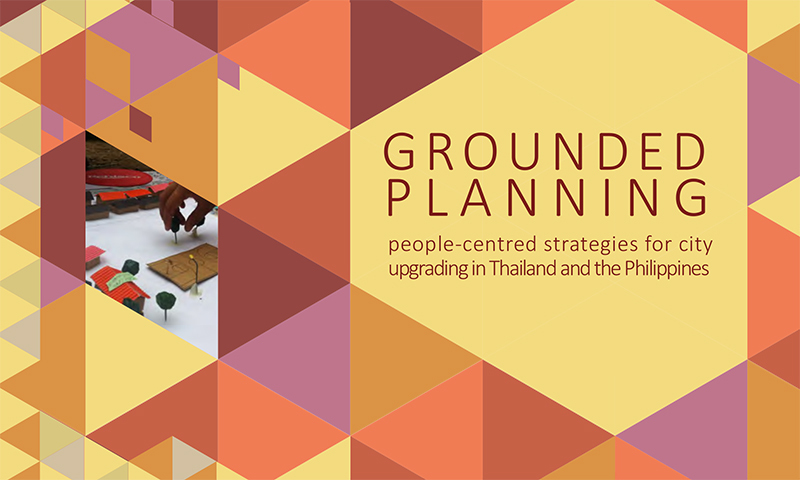 This booklet provides an overview of DPU alumni’ experiences, exchanges and learnings during their internship with the Philippine Alliance, Manila and Openspace, Bangkok. Over six months, these young professionals were exposed to the everyday practices of people-centred development, focusing specifically on the twin challenges of generating flexible finance schemes and meaningful multi-stakeholder engagement. The booklet captures the diverse ways in which community-led organisations apprehend and address these challenges, developing in the process a variety of methodologies to tackle them. In the Philippines, the interns were exposed to a strong alliance of community groups and their embedded support organisations, responding to a changing financial environment through experimentations with social entrepreneurship. They contributed to alternative planning processes built on fore-fronting the tactical knowledge of communities, working with context-specific mapping methodologies to sustain long term social engagement. In Bangkok, the interns were engaged in an architectural practice working across the boundaries of market and community-led processes. The booklet recounts the innovations and trade-offs at the heart of such ventures. In particular, the interns explored the multiplicity of the notion of value and the potential of corporate social responsibility. In addition, the interns revealed the iterative, incremental and creative negotiation processes at neighbourhood scale to leverage the power of multiple actors involved in the redevelopment of inner city locations. CAN Young Professionals offers a glimpse of the ACHR legacy and the DPU ethos grounded in flexibility, reflexivity and adaptability, towards socio-environmental justice.